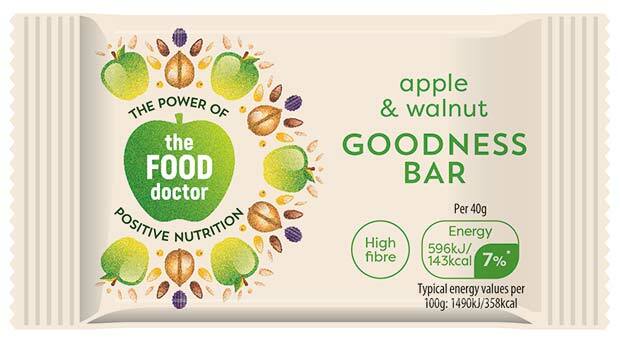 After rolling out a fresh new look as part of the company’s biggest revamp in its 18-year history, healthy snacking brand The Food Doctor has gained new listings within 150 Tesco stores. 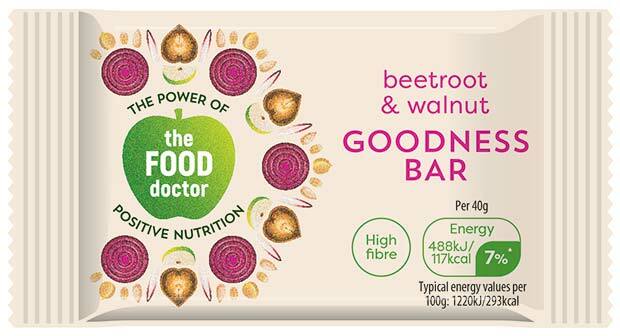 The brand new Fruit and Vegetable Goodness bars have launched in front of store and are great as a healthy, on-the-go snack. Launching in our new packaging the high fibre and high protein Popped Crisp Thins made with soya and corn will be available in the following flavours: Hot Wasabi, Spicy Chipotle and Sweet Chilli. The range of popped Crisp thins are available in 23g packs. Joining the current re-sealable (80-120g) snack mixes are three mini snack mixes (30g) available in the following flavours Chipotle Trail Mix, Smokin’ Edamame Mix and Full of Beans Protein Mix, perfect for on-the-go and packed lunches.